Ok so about 3 years ago I decided to upgrade my Saltwater tank from a 90g to 150g tank. 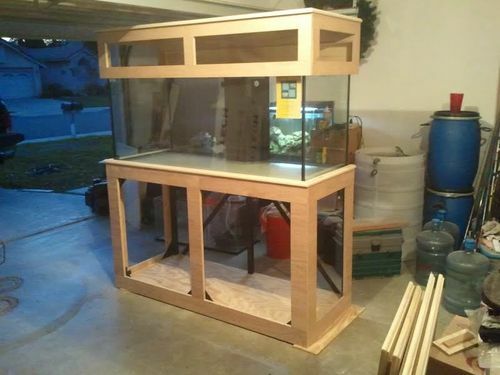 So I began the adventure of building a stand and canopy for my new tank. Well since I live in Califorina and we have lots of earthquakes here I decided to go with a metal frame for the stand. 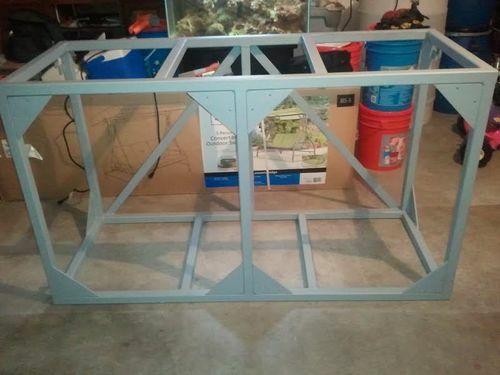 I used 1 1/2 square steel tubing for the frame. 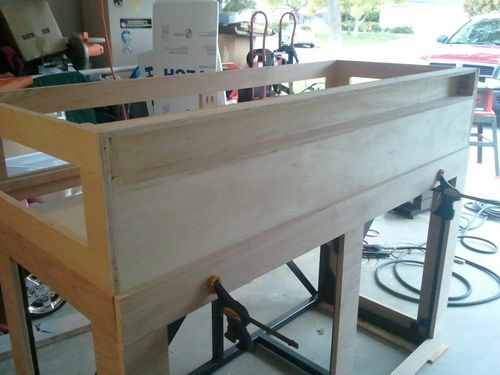 Well now that I had the stand frame complete it was time to get to the real heart of the project the woodworking side. I decided to use 3/4” Birch plywood for the poplar for the stand. 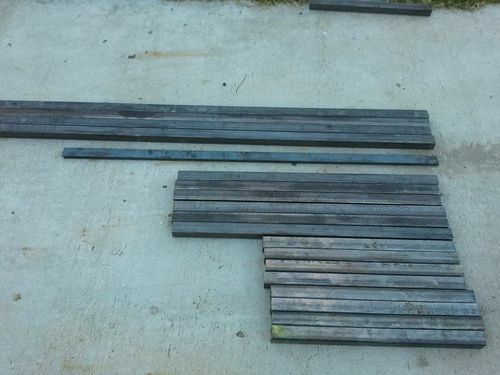 All trim was made from the poplar so it all matched after staining. 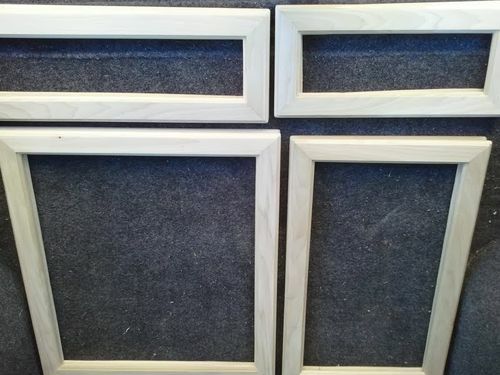 Door frames (used the same 3/4 Birch plywood for the inserts) this allowed about 1/2” of the insert panal to stick out the back of the door. I did this because I wanted the door to hold its own weight, all doors are attached with magnets for east removal. The canopy was also built with removable doors as well as a toy box lid for easy access to the inside of the tank. The lights that I was going to install required the use of ballast. Ballast in aquarium lights tend to get hot and I did not want this heat inside the enclosed canopy. 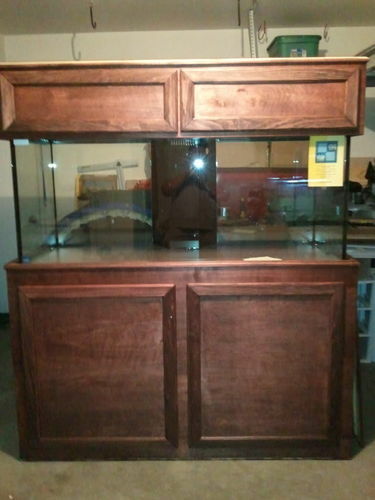 I created a built in box inside the canopy to house the ballast but still allow the aquarium to be completly against the wall. Final product stained with mahagony stain. And this is why I built it. Beautiful, both the stand and tank. You running metal halide lights, or are these day people using LEDs? We’ll a lot of people still use T5 fluorescent or Metal halides, LEDs have come onto the market pretty hard in the last 4 or 5 years. I am currently running (3) 120w led fixtures over the top of my 150g tank. 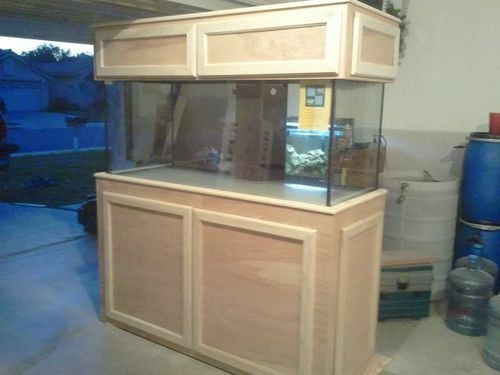 Nice tank and stand. Well done! But anyway, great work again! Holy moly! .... quite a project! 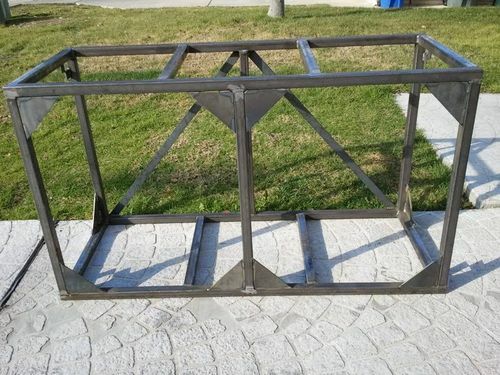 You could put ten 150 gal tanks on that metal frame! 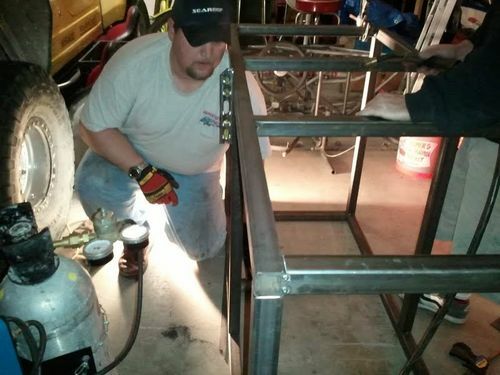 nice welding job, way beyond my skill set. You have a lot more fish than I do. You went with live rock too. My fish food supplier and tank builder wouldn’t let me have Live rock. I felt like he wasn’t giving me enough credit to keep it up but, I have nice fake coral and it’s easy to clean so maybe he was thinking low maintenance and less money. But I sure like the way yours came out. I built my own stand too. You can see it if you like. It’s called the four year project. Glad you joined LJ! Look forward to seeing more of your work. Beautiful Tank & Stand My Friend! Be Proud Of That One!! BPatterson – Upgrading from a 20g to a 40g will make a big difference, you will have tons of real estate compared to the 20g. I am not sure but if you search for a local reef club you might be able to find a good used set of LEDs. Reedwood – Yea I know that I could put awhole lot more weight on that stand, but it serves two purposes. Extra security in case of earthquakes and piece of mind for the wife. Yes that video is of my tank, and because it’s a reef tank I had to go with live rock. If I went any bigger then the 150g I would probably go with artificial corals and rock myself. I was very impressed with you stand, do you have some more detailed pics of how you built the stand, would love to see them if you do. Thanks Rick I am proud of it and enjoy seeing it everyday. In a worst case scenario, the base can do double duty as a bomb shelter. LOL A great looking project. Wow! Awesome work on the steel frame and the wood work is just gorgeous. Like the canopy and finish.